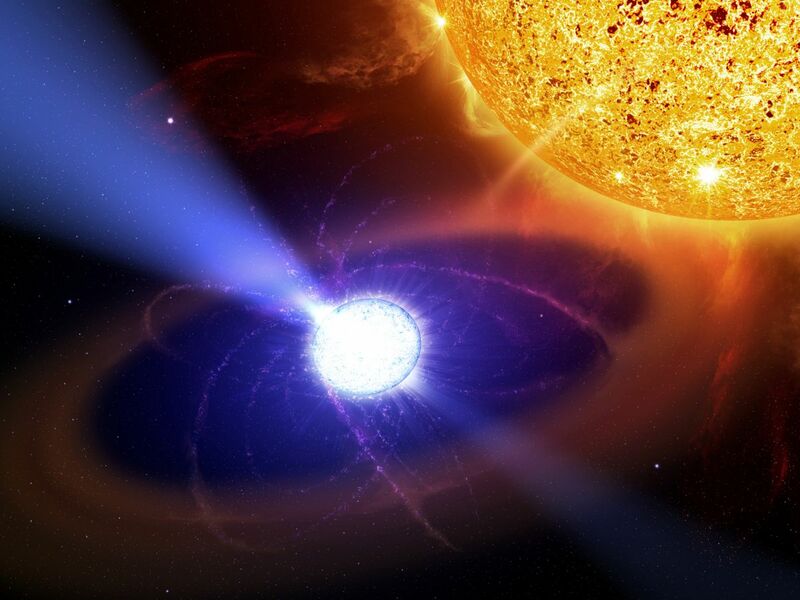 Home » For Your Information » What is a Pulsar and Why are they Incredibly Deadly? Pulsars are one of the most energetic and deadly death rays that exist in the universe, and you know what makes them even worse? When they are pointed at Earth. First things first is laying down the definition of a pulsar. A pulsar is basically the endpoint of a stellar evolution. Think of a star, at least 8 times bigger and no more than 50 times bigger than our Sun, that spends its happy life fusing atoms and burning up oxygen, helium, hydrogen and so on. Then near the end of its life it gets to a point where it exceeds the Chandrasekhar limit and the star collapses upon itself and exerting most of its energy and mass outward until it is halted by a neutron degeneracy and all that’s left is a dense neutron star. These neutron stars are only about 13 km in radius and spins 642 times per second! 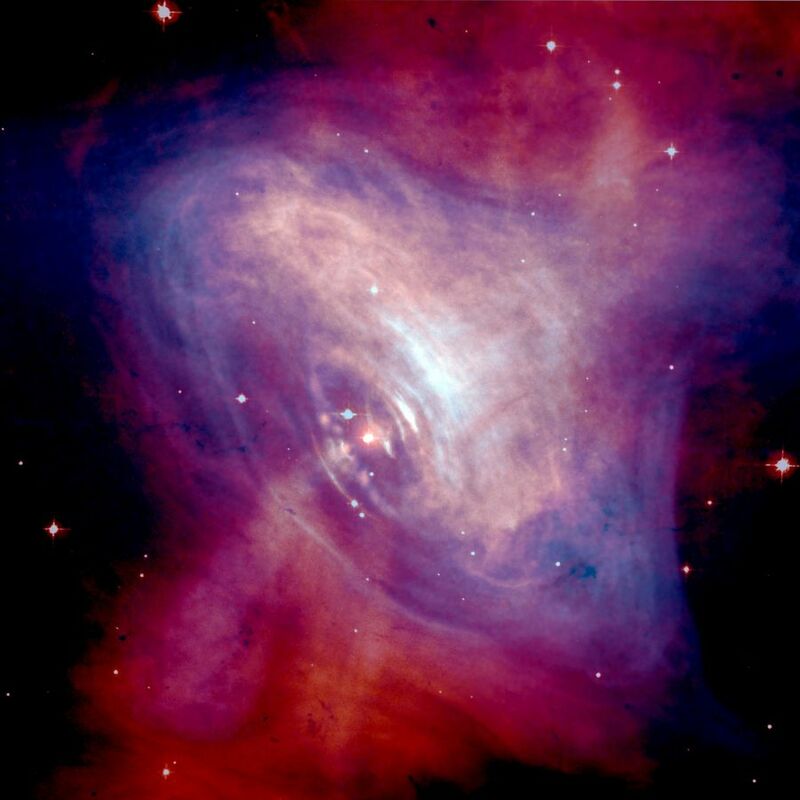 But then something strange happens with the neutron star and a misalignment between the stars rotation axis and magnetic axis cause “pulses” of high energy radiation. It appears to be pulsing to observers because of its rotation but it’s actually continuous. If we observed this from far away it would look like a cosmic light house. Rotation – these are powered pulsars where the loss of rotational energy provides power. Magnetar – where the decay of an extremely strong magnetic field provides electromagnetic power. There have been about 100 x-ray pulsars found out of the total of 1800 pulsars. Pulsars have also been included on the two Pioneer plaques and the golden record on Voyager to show where we are located in relation to them. There is still a lot to learn about pulsars and they were only first discovered in 1967. If you want to learn more about pulsars then read more here.